The Pittsburgh Steelers were off to a good 5-2 start under new head coach Bill Cowher as they hosted the Houston Oilers on November 1, 1992. QB Neil O’Donnell was a good fit in the conservative offense and RB Barry Foster (pictured at right) had five hundred-yard rushing games thus far. The defense blitzed heavily and was strongest at linebacker and in the backfield, which featured CB Rod Woodson and SS Carnell Lake. The overachieving Steelers had beaten Houston in their opening game and were looking to sweep the season series. Much was expected of the Oilers, who had been to the playoffs following each of the previous five seasons and breezed to the AFC Central title in ’91. Houston, coached by Jack Pardee, was also 5-2 and featured a pass-heavy run-and-shoot offense directed by QB Warren Moon, who had a fine group of receivers available. The defense was anchored by DT Ray Childress, LB Al Smith, and SS Bubba McDowell. There were 58,074 fans in attendance on an overcast day with light rain at Three Rivers Stadium. The Steelers had the first possession and Barry Foster ran the ball on each of the first six plays, picking up 27 yards. The drive stalled at the Houston 48 and resulted in a punt, and the Oilers punted in turn following a short series. After the Steelers kicked the ball away again, Houston advanced 57 yards in nine plays. Warren Moon completed three passes along the way but two throws from the Pittsburgh 12 fell incomplete and Al Del Greco kicked a 29-yard field goal. Neil O’Donnell completed passes to WR Dwight Stone for 20 yards and Foster for 16 but gave up an interception to Al Smith on a throw that was tipped. However, Smith fumbled on the return and O’Donnell recovered to regain possession for the Steelers. As the game entered the second quarter, WR Ernie Mills fumbled after gaining 18 yards on a reception and Bubba McDowell recovered for the Oilers at the Pittsburgh 44. Houston drove 43 yards in eight plays that included a third-and-nine throw by Moon to WR Ernest Givins for 17 yards to the Pittsburgh six. Three running plays got the ball down to the one and Del Greco kicked another field goal, this time of 19 yards to stake the visitors to a 6-0 lead. The Steelers responded with a long possession of 14 plays that covered 82 yards. O’Donnell had completions to TE Eric Green for 23 yards, Mills for 15, and RB Leroy Thompson for 20 yards in a third-and-10 situation, and Foster ran eight times, the last for a one-yard touchdown. Gary Anderson added the extra point and Pittsburgh went ahead by 7-6, which remained the score at halftime. 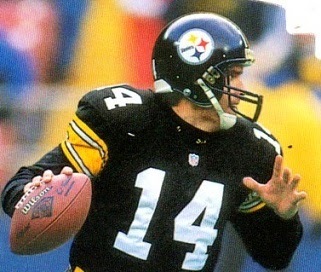 On the first series of the third quarter, Moon suffered a concussion when he was hit hard by blitzing CB Rod Woodson and was replaced by backup QB Cody Carlson (pictured below). Carlson, who had led the Oilers to a win in Pittsburgh two years earlier when Moon went down, completed four passes during the nine-play, 76-yard drive, including the last to WR Webster Slaughter for an 11-yard TD. Del Greco converted and Houston was back in front at 13-7. On the second play following the ensuing kickoff, O’Donnell fumbled while being sacked by DT Jeff Alm and Ray Childress grabbed the loose ball and returned it eight yards for a touchdown. Del Greco added the point after and the Oilers’ lead was extended to 20-7, the visitors having scored two TDs in the span of just over a minute. The teams traded punts, but as the period was winding down, the Steelers were at the Houston 13 yard line. O’Donnell completed three straight passes to start the drive, hitting FB Merrill Hoge for 20 yards, WR Jeff Graham for another 11 yards, and then Mills for 20. Foster ran on the next three plays and picked up 11 yards and O’Donnell followed up with a completion to Mills for eight yards. Four plays into the fourth quarter, O’Donnell tossed a pass to TE Adrian Cooper for a two-yard TD to complete the 11-play, 75-yard series. Anderson’s PAT narrowed the gap to six points. The Oilers backed themselves up with penalties on the next series before Carlson completed two passes to get a first down, but he fumbled on a third-down play and LB Greg Lloyd recovered for the Steelers at the Houston 38. Following a run by Foster, DE Sean Jones sacked O’Donnell for a loss of 10 yards to put Pittsburgh in a third-and-16 hole, but O’Donnell completed a pass to Green for 24 yards to climb out of it and reach the Houston 20. Foster ran three times to get inside the ten and then O’Donnell again threw to Green, this time for a five-yard touchdown. Anderson kicked the extra point and the home team was ahead by a point. The teams exchanged punts and the Oilers found themselves with the ball at their 14 with 3:53 left to play. Carlson completed six passes to get to the Pittsburgh 27 and, after two short carries by RB Lorenzo White, Del Greco came in to attempt a 39-yard field goal with the clock down to six seconds. The kick was wide to the left and the Steelers held on to win by a final score of 21-20. Pittsburgh had the edge in total yards (302 to 283) while the Oilers had more first downs (21 to 20). The Steelers turned the ball over three times, to two by Houston, and were also penalized nine times at a cost of 101 yards, to five flags thrown on the Oilers. Neil O’Donnell (pictured below) completed 14 of 22 passes for 201 yards and two touchdowns while giving up one interception. Barry Foster rushed for 118 yards on 31 carries that included a TD. Ernie Mills caught four passes for 61 yards and Eric Green contributed 52 yards and a score on his three receptions. For the Oilers, Warren Moon was successful on 13 of 19 throws for 104 yards with no TDs or interceptions before leaving the game and Cody Carlson went 15-of-23 for 137 yards and a touchdown while also giving up no interceptions, although he did fumble the ball away once. Lorenzo White ran for 44 yards on 12 carries and added 32 yards on six catches. Haywood Jeffires had 9 receptions for 68 yards and Webster Slaughter gained 71 yards on his five catches that included a touchdown. The win put the Steelers in first place in the AFC Central at 6-2 and they went on to finish on top with an 11-5 record, their best since 1979. The sweep of the Oilers was critical in the division race as Houston placed second at 10-6 and qualified for the postseason as a Wild Card. Both teams lost to Buffalo in the playoffs, the Oilers in epic fashion in the Wild Card round and Pittsburgh at the Divisional level. 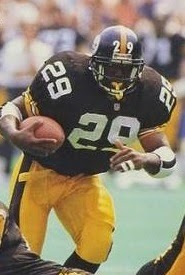 Barry Foster went over a hundred yards 12 times as he led the AFC in rushing with 1690 yards on 390 carries (4.3 avg.). He was a consensus first-team All-NFL selection as well as Pro Bowl choice. Neil O’Donnell finished third in passing in the AFC (83.6 rating) and was named to the Pro Bowl for the only time in his career. 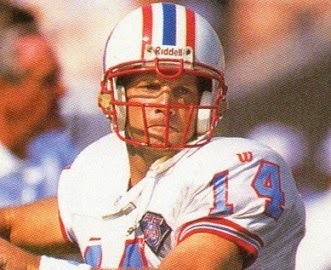 Warren Moon came back from the concussion suffered against the Steelers but was lost for five games with a broken arm. He still led the AFC with a passer rating of 89.3. Cody Carlson remained effective in relief, completing 65.6 percent of his passes for 1710 yards and 9 touchdowns, as opposed to 11 interceptions.